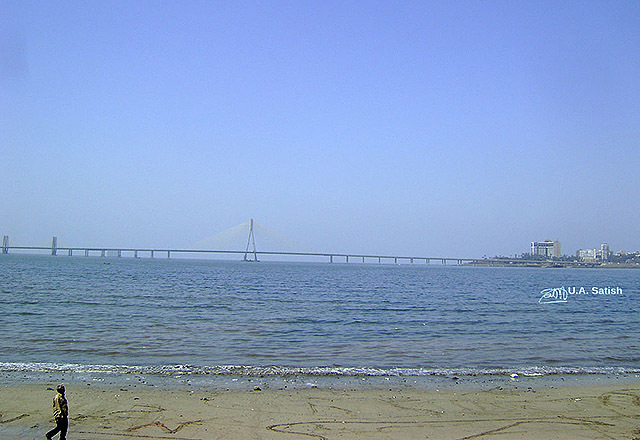 Bandra Sea Link is a unique cable stay bridge in the waters of Arabian Sea. It connects Bandra Reclamation with Worli in South Mumbai. It runs for 5.6 km over the Arabian Sea. Travel time is 20-30 min. Motorcycles and pedestrians are not allowed on the sealink. 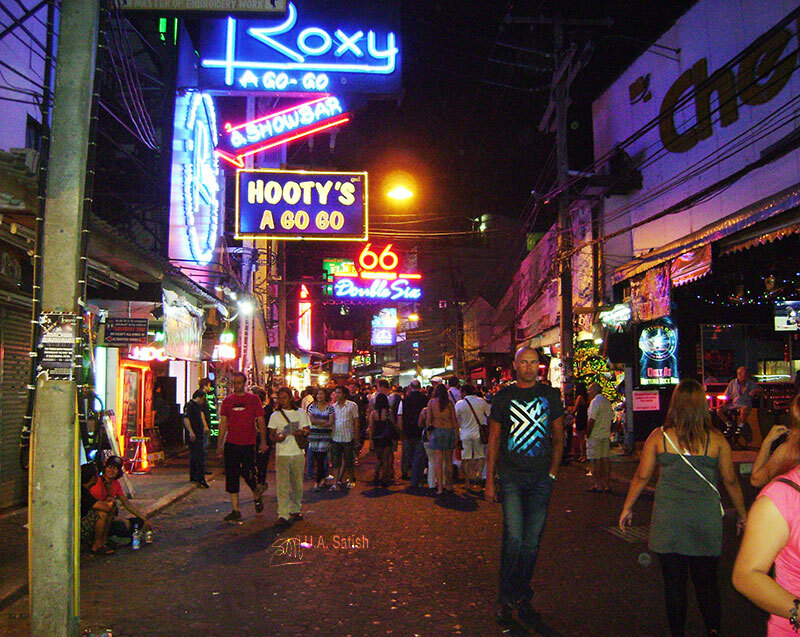 First four lanes were opened to traffic in June 2009. All eight lanes were opened on 24 March 2010. It took ten years to complete and is considered an engineering marvel. It cost USD 280 million to build. Daily traffic count on the bridge is 40,000 vehicles. This shot was taken from Shivaji Park area. Bandra end of the sealink is seen to the right.